My fifth graders decided to direct and produce their own information video on literature circles. We were inspired by a video we watched regarding quality commenting from Langwitches Blog that you can view here. The class made up of 18 students were so excited! 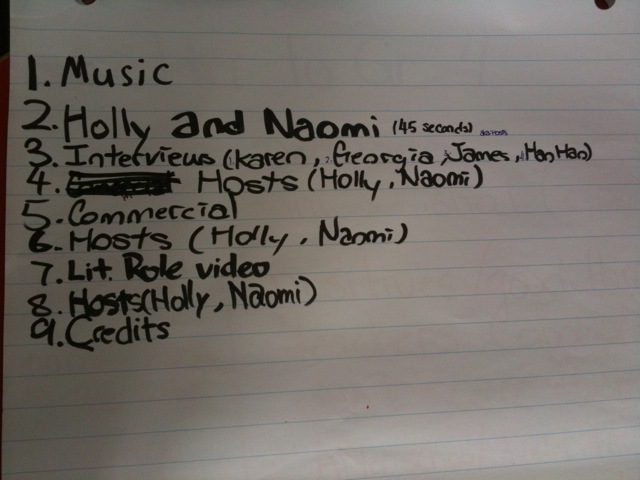 They brainstormed a list of jobs that needed to be done, deciding that everyone should have two jobs. The students then emailed the teachers they were going to interview to set up a meeting. 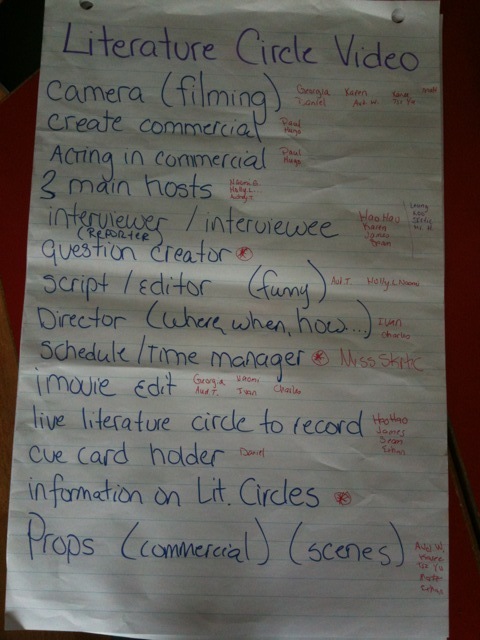 Other students got busy creating the script, commercial, props, and cue cards! Finally they put together a plan for the two students who were going to the lab to put all the movie clips together. One student, Ivan, even created a Logo for our fifth grade movie production company, you can see it at the very end of the film, after the Blooper! It was a lot of fun and the students put a lot of hard work and creativity into it! We hope you enjoy our movie. 5Z News- literature circles from Sharyn Skrtic on Vimeo. This entry was posted in Reading, technology, Uncategorized, writing and tagged fun, literature circle, reading, student voice, technology, vocabulary, writing. Bookmark the permalink. Great watching. It really inspired me, especially as it looks like I’ll be teaching more than Maths next year. Thanks Lucy. Literature Circles would be great for you if you are teaching English next year! Grade 4?